Sony Santa Monica’s reinvention of God of War has found massive critical and commercial success so far and for good reason. They managed to take a major series that had began to grow stale after a handful of sequels and turned it into something fresh that still retained the core feel that made the games fun in the first place. One of the biggest changes that contributed to this sense of newness was an open-world structure that was a departure from the series’ linear roots. From a gameplay perspective, this change was a complete success. Not only did it give players a ton of reasons to go back and explore areas they had previously seen (giving the game a Metroid-style sense of progression throughout), but it also opened up the possibility of side-missions and hidden locales. This allowed for the development team to add in some interesting side content that fleshes out the Norse world, and hide in some devious boss fights that wind up being entirely optional. While this move to a more open environment is a definite success, some growing pains can be seen with regards to how this design choice impacts the story. Past God of War titles were never incredibly nuanced in their storytelling, but they told a complete story that had a logical endpoint. That just isn’t the case here, as a sequel tease and some poorly constructed sidequest dialogue wind up hurting what is otherwise a very thoughtful and enjoyable campaign. The biggest issue with regards to God of War’s story comes from the game’s ending. 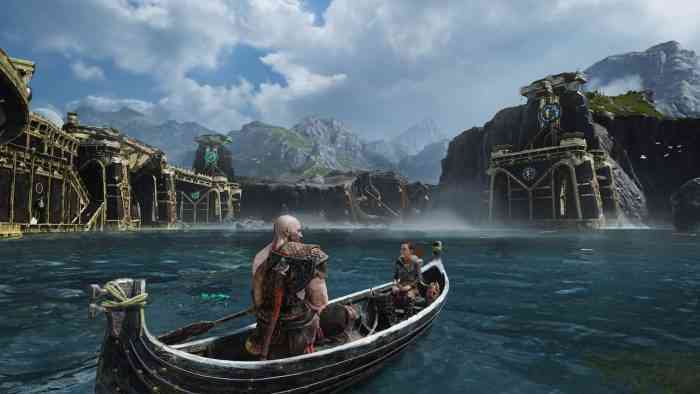 Yes, it has a logical stopping point of ending after Kratos, aided by his son Atreus, had spread the ashes of his late wife, but the game can’t seem to help itself from teasing some major events in a sequel. Immediately afterwards the game announces to the player that the Fimbulwinter has begun, the harsh winter that precedes the events of Ragnarök, an event that signals the end of the world in its current state. One would think that such a huge development would result in some story events, but instead it’s merely used as an excuse for the player to explore the world more and find additional gear for the battles that await in the inevitable sequel. The mighty winter has fallen and Kratos, the God that he is, is going to do a bunch of fetch quests for Dwarves. A lot of God of War’s story is built around the thought that the lives of Gods are preordained according to Norse mythology. Characters know when they’ll die, and that adds a unique dynamic to it all. However, Kratos is not one that simply gives into the idea of destiny, and you’d expect more pushback from the Spartan. It’s also shown that events can change throughout the story, which makes the overall inaction in the form of doing lackadaisical sidequests all the more jarring. Of course, this criticism is a minor one, but it shows one of the disadvantages to the game’s open-world structure. If God of War had been a linear experience then it could’ve teased the future events and faded to black. Players would then just wait for the sequel to come out, and there would be no issue. By throwing players back into the world, it continues the story and thus ruins some of its believability much like when a Japanese role-playing game distracts its heroes from saving the world to deal with a comedic questline. These sort of moments are fine individually, but they ultimately take away from the grand picture. Oh Wait, It’s Not Over? 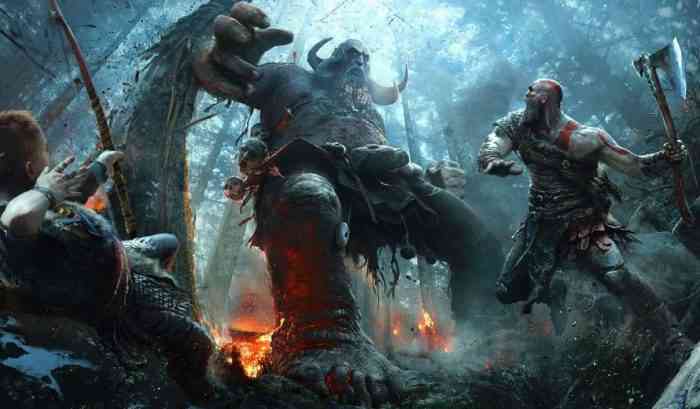 More problems arise from God of War’s secret ending that shows a prophetic dream where “several years later” Thor arrives to finally seek revenge for the deaths of his two sons, Modi and Magni. First off, players are supposed to believe that the famously short-tempered Thor, who is one of the most notoriously terrible Gods in all of the mythology, is going to wait around an extended time period avenge the deaths of his two kids. However, having Thor immediately seek retribution can’t work in God of War’s context since there has to be a blank period of time that allows for Kratos and Atreus to fulfill a bunch of side quests after the story ends. Other less than optimal consequences of its new structure come from how the game handles a lot of its lore. Most of the flavor text comes in the forms of stories that are told while either using the game’s fast travel portals or while rowing a boat in order to get to one area from another. This is a great way to kill dead air, but since stories stop if you exit the boat, I was left to awkwardly wait around in it until the story ended if I was interested in the lore. It’s really too bad that so much of the interesting world building is relegated to being shown off in such a half-hearted manner. Another issue arises from the fact that side quests are, by design, optional and can be done at any time. Both Kratos and Atreus go through a major character arc, which can make certain pieces of dialogue seem totally out of character depending on when they’re experienced. 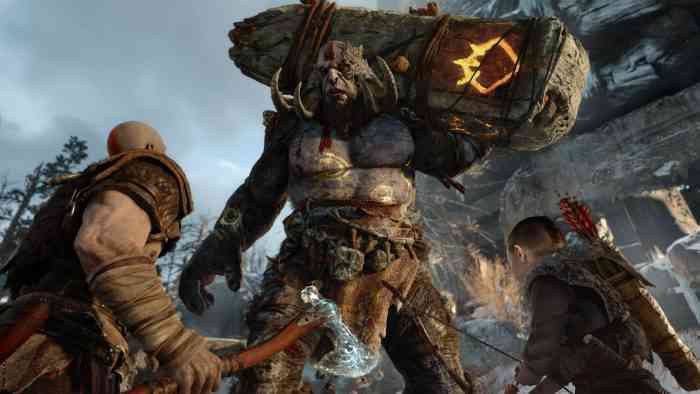 For example, Atreus is shocked and disgusted after learning that a son would harm his own father during one quest. That makes perfect sense if done early on in God of War, but it’s a completely hilarious exchange if done after the credits sequence since Atreus goes through a rebellious phase mid-game that has him shooting an electrified arrow into his father. Boy, how are you going to act like you didn’t try to harm your own dad a few hours before playing this innocent role? This type of dialogue makes the character seem ungenuine and undoes a lot of solid writing. While there are some rough edges, it’s worth reiterating that God of War still largely succeeds narratively. It manages to tell a much more thoughtful and mature story than its predecessors and offers up an emotional tale that isn’t afraid to touch on Kratos’ failures as a father. Few AAA titles manage to show this much heart, but there’s still room to improve and hopefully, future titles will offer up an even better experience.